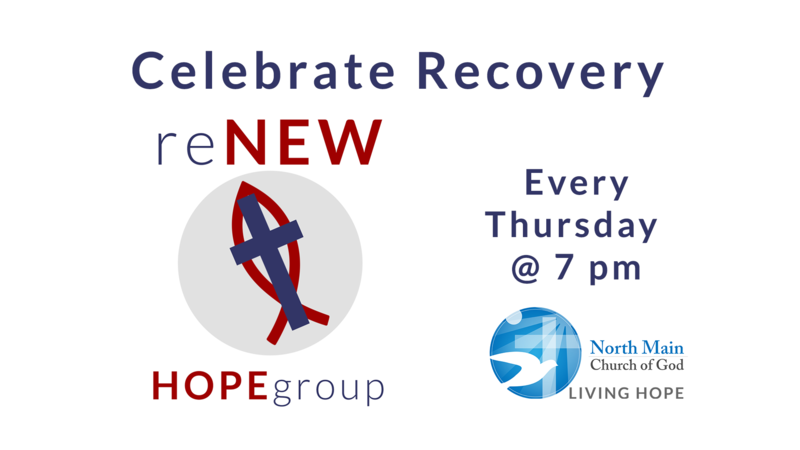 North Main Church of God – reNEW Hope Group Celebrates Recovery! reNEW Recovery provides guidance, compassion and support for those struggling with addictions or habits by offering hope and encouragement through Christ. Meetings are Thursdays @ 7 PM at the church fellowship building (Prince Hall).